Mutants are a concept that I wanted from the beginning. I tried a couple of different models before I came to strange conclusion. I had already done the ground work. Racial talents cover all the strange and quirky powers and that list will grow over time. All I needed to do is slap together a Mutate template to make them accessible. What follows are a list of reskinning concepts, powers and ideas so they can represent a mutant in our game. Desecrator: Your mutation is an “experiment” from the Desecrators. Dream Cantrip: You’re a living tap to the dreamtime. Fey: You are a changeling, or affected by the dreamtime. Fleet: Enhanced adrenal glands or higher muscle density in the legs allow for faster response time on the ground. Flying: Some examples include skin flaps, wings (bat or bird like) as well as some overall structural changes. Gaze: Your gaze is based on generating energy waves from your eyes. Charming Stare: Your character generates pheromones that have the same effect in game terms. Daunting Stare: Your character is very scary and your stare triggers a fear response. Mesmerize: Your eyes are hypnotic like a snake. Hallowed Touched: You are mutated by the raw magical energy of the hallowed world. Living Dead: Your character has tumors or other necrotic traits that makes you tougher than normal. The following Racial talents have a direct effect on the physiology of your mutant: Boneless, Hard Rotted, Skeletal. The majority of other Living Dead Racial talents are used to give resistance and immunities that simulate redundancies or unique physiology. Natural Weapons: Some examples of natural weapons include: Bite, horns, claws, talents or spines that can be used as a weapon. Cast Iron Stomach: A ton of mutants can eat just about anything. Gullet Pouch: Your mutation gave you an organic pocket. Musk Spray: This may represent a hybrid of a skunk or wolverine. Alternatively, this is an over-sized gland that generates a projectile. Scent: This is the most common enhancement of hybrid mutants. Thick scales – used to represent reptile hybrids. Savvy: You develop a neural link with allies. You can choose to base this on chemical impulses. Shrinking: This can be used to simulate dwarfism. Special note: if your character takes the shrinking talent tree as their mutation for a race that is normally size medium, they can start their character at size small. Small: +1 to attack and AC, -1 to CMB/CMD, +4 to Stealth skill, carry capacity is ¾ (x 0.75) that of normal medium creature. Weapons must be sized for a small creature (treat tiny weapons as light, small weapons as one-handed, medium weapons as two handed, cannot use large weapons). No fear: can simulate a reduction in your Amygdala. Venom: if your character is emulating a bug-like or snake like creature, this talent tree can be useful. All Around Vision: This can be used to simulate masses of eyes or multiple heads. 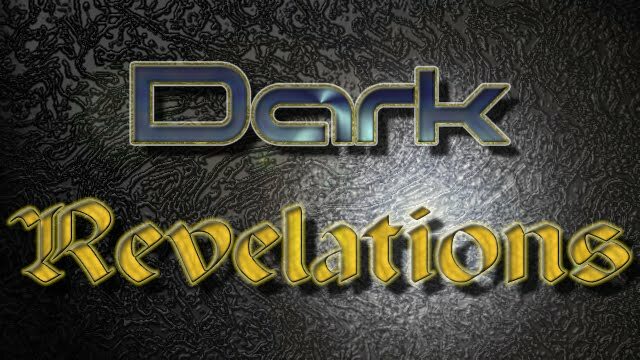 Darkvision: You have heat receptors, or able to see in the dark for darkvision. Blindsense: You have vision by a means other than sight. Eagle Eyed: you have enhanced distance vision, not unlike an eagle or mountain goat. Description: You have multiple heads and while it doesn’t change your stats, it does give you a couple of advantages. Description: Your character now has a Stinging Tail not unlike a scorpion. Low Light Vision: often used to simulate animal eyes. Save: Endurance: Example of this in mutant physiology when it comes to Interior moisture Reservoir. Save: Great Fortitude: This is used to simulate Accumulated Resistance of the mutant. Skill Focus (Athletics): This can be used to simulate Dermal Suction, aka small hairs that improve climbing. Skill Focus (Perception): This can be used to simulate additional perception organs. Skill Focus (Stealth): This can be used to simulate camouflage physiology of the mutant. Two Weapon Fighting: This and its successors can be used to simulate Independent Cerebral Control. Description: you are a giant head attached to a fairly small body. You are much smarter than most around you. Description: you are a feline/human mutant with an emphasis on ambushing your target. Description: You look like the walking dead, but technically aren’t. Description: You look like a troglodyte and are adapted to living underground. Description: you are a Rhino Man with a big horn for goring. The following is a mutate I created using the mutate rules. Your cool title/quote: It’s not just the gun that you have to be aware of. Description: Mutated to have your rib-cage on top as well as under your skin, you had to fight long and hard to survive. Quicker than most, you took up the way of the gun and then realized that your natural talents worked with them nicely. Your Role: You shoot things either with bullets or venom. They usually don’t last long. Skills: Focus on Gunplay. You can also utilize Acrobatics and Athletics to get out of trouble. Use vehicle also plays to your strengths because sooner or later, you’ll need to get out of town fast. >>Level 1: Standard Adventure Kit, Utility Revolver, Targeting Pistol, 50 rounds light pistol ammo, Mesh Suit, Bear Spray, (53.75 GB left over for other essentials). >>Level 2: Standard Adventure Kit, Utility Revolver (master tooled +1), Targeting Pistol, 50 rounds light pistol ammo, masterwork Titanium Chain, bear spray, 2 daggers, (283 GB left over for other essentials). >>Weapon Improvement: As the character goes up in levels, they will upgrade their pistols and emphasize gun accessories. >>Armor Improvement: As your character goes up in levels, emphasize light armors to ensure minimal effect on dexterity and natural armor. You are a coiled spring, fast on the draw. And accurate at close range. About level 10, you start creating natural venom that dovetails into your gunslinging skills. This is far from a complete list. There will be a revisiting when we have finalized the Book of Arrogance when we can show how psychic powers can be integrated into the mutant solution. However, what this article should show is how relatively easy it is to create and customize a mutant with what is already in play. Enjoy them and let me know what you think. Psychics and mutants are great. I'll be able to run a Fist of the North Star/Vampire Hunter D game now! Classic Build #2 - Elven Ranger - Jay edition.